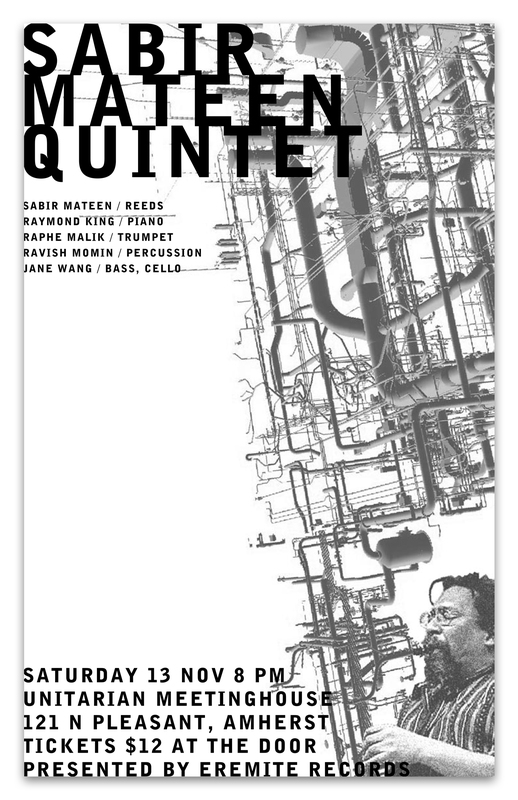 Eremite Records is entirely dedicated to presenting challenging and uncompromising music by first- and second-generation musicians who work at the leading edges of the American free jazz tradition. 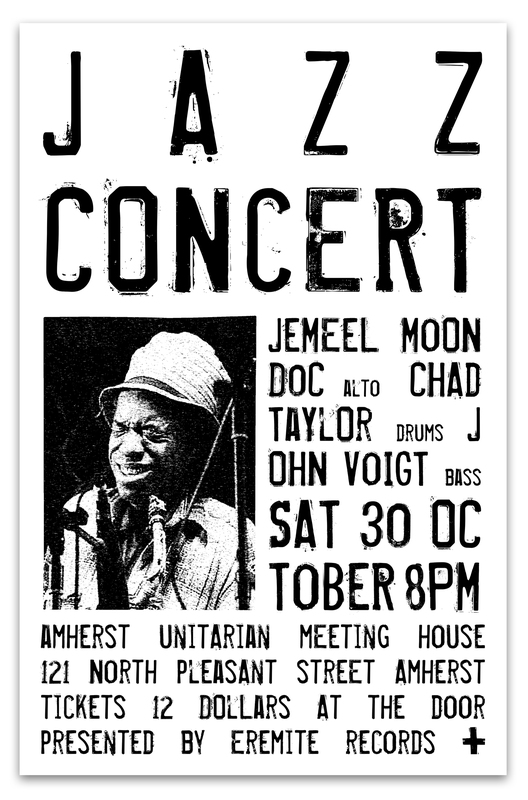 The label also organizes and produces a grassroots concerts series in Western Massachusetts (USA), to date producing nearly 100 concerts by an array of these iconic, world-class artists. We created posters for two of these events.